DC Shorts could not happen without the generous support of our partners. Please patronize them throughout the year — and thank them for their support of the arts. Washington DC area local news including weather, traffic, sports, restaurants, business and events. 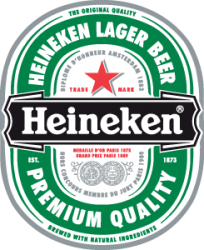 Heineken, based in the Netherlands, serves as the perfect pale lager beer - always full of flavor and always refreshing. Enjoy responsibly! The reason Jim Beam® Bourbon is the world’s #1 Kentucky straight bourbon whiskey is because they’ve been at it for over 200 years. Seven generations of Beams have kept the secret bourbon-making process alive, while battling the wilds of Kentucky, the Great Depression, two wars, and a pesky little thing called Prohibition. OnTap is the Washington, D.C. metro area’s top source for dining, nightlife, music, parties, events, festivals, and entertainment. 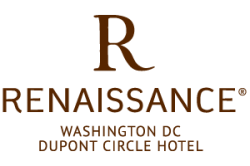 At Renaissance Hotels we believe travel is about discovering moments that transcend the everyday. Stylish, distinctive hotels in some of the world’s most exciting destinations. We make Digital Cinema affordable for every filmmaker in the marketplace today. The District of Columbia Commission on the Arts and Humanities (DCCAH) is responsible for developing and promoting local artists, organizations, and activities. 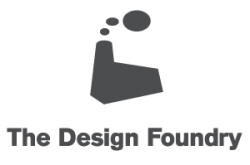 The Mission of the DCCAH is to provide grants, programs, and education activities that encourage diverse artistic expressions and learning opportunities for individuals and nonprofit organizations in the District of Columbia. With over 12 million square feet of projects, Akridge knows how to excel in commercial real estate development, construction, leasing and management. And working out of a D.C.-based firm, Akridge knows the area inside and out. 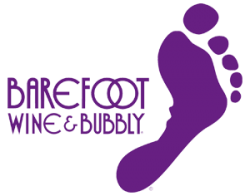 Barefoot Wine and Bubbly’s goal has been to make the world a ‘better place through wine,’ since it was founded by two wine enthusiasts/social activists in California in 1965. Along the way, they have supported over 3,000 charities worldwide, and continue their mission of providing wine drinkers with a fun and relaxing experience. Having gotten their start as a small company based out of Maryland over a decade ago, Honest Tea has exponentially grown but still retains its delicious taste and commitment to providing people with a healthy and organic one of a kind product. The Irish Dairy Board is a co-op, owned by its farmer members. The milk used to make cheeses and butter is grass-fed, and comes from a vast number of small local Irish farms that meet Kerrygold's exacting standards. 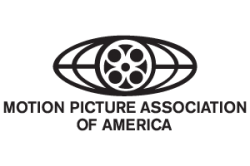 The Motion Picture Association of America serves as the voice and advocate of the American motion picture, home video and television industries. Turkish Airlines, one of the most preferred leading European air carrier with global network coverage thanks to its strict compliance with flight safety, reliability, product line, service quality and competitiveness while maintaining its identity as the flag carrier of Turkey. Washington City Paper’s Facebook page is your guide to exclusive City Paper events, promotions, blogs, and photos. Check back for news on D.C.'s hottest eats and entertainment and learn about our FREE contests and giveaways! Zipcar is the world's largest car-sharing company, offering self-service by the hour or day, gas and insurance included. For over 10 years we've made car sharing cool in the DC metro area. Our members are committed to sustainable urban living at an affordable price. Join and become a Zipster today at www.zipcar.com! Over 72,000 tracks of originally composed music from over 500 world-class composers; pre-cleared for worldwide, multi-platform distribution...forever. 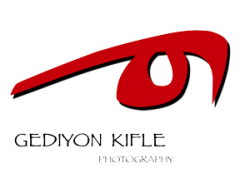 Gediyon Kifle is a Washington, D.C.-based award-winning photography whose client list and published work include: Gourmet, Elle a'la Carte, Savoy, The Times Picayune and the Washington Post magazine. His work can be found in private collections and museums throughout the United States and Africa. Glidecam Industries Inc. offers a wide variety of camera stabilizers (and systems) for use with motion picture cameras, video cameras, and video. 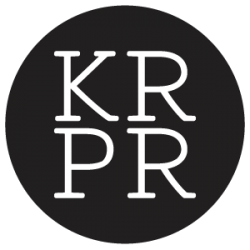 Kendra Rubinfeld Public Relations (KRPR) is a PR and marketing firm dedicated to creating platforms from which their clients can grow. Karma vs Mojo Rentals offers the Washington D.C. film making community with premium, yet sensibly priced equipment rentals and packages. 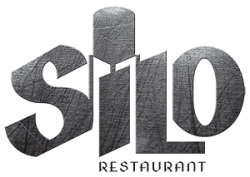 Spanish Tapas Restaurant and Bar, with 5 locations in the Washington, DC metro area. 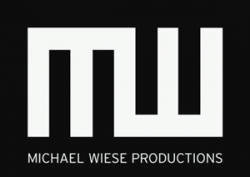 Michael Wiese Productions (MWP) is the world's leading publisher of how to books for filmmakers, with a line of over 160 books on all aspects of film making. Whether you are looking for mid-century sofa, a contemporary coffee table, or new glassware, Miss Pixie’s Furnishings and Whatnot has it all, and then some! 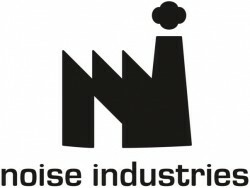 Boston Massachusetts based Noise Industries is an innovative developer of visual effects tools for the post-production and broadcast community. Their products are integrated with popular non-linear editing and compositing products from Apple and Adobe. The Pepco Edison Place Gallery works with nonprofit arts organizations to sponsor diverse, high-quality exhibits on behalf of the community. The World's Stock Media Marketplace -- featuring videos, photos, vectors/illustrations, music, sound effects, AE projects, 3D models, and more. Professional and Affordable Post Production, Multimedia Services and Video Edit Suite Rentals. Need cupcakes? Of course you do! Stop by our locations in Penn Quarter, Reston, VA and Clarendon, VA! 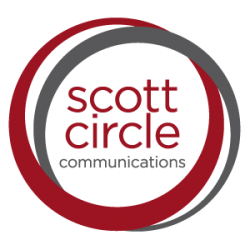 Scott Circle Communications is a Public Relations and event planning firm offering clients the media coverage they desire by managing and creating short and long term projects and acting as on-call counsel for any activities that come up along the way. The Showbiz Store is the retail division of Media Services that caters to the specific technology needs of the media and entertainment industry, namely, motion picture and television studios, visual effects and post production houses, advertising agencies, corporate media departments, and commercial, music video, and independent production companies. 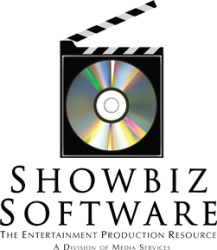 With two locations in New York and Los Angeles, the Showbiz Store is the destination for entertainment professionals for integrated workflow solutions with its on-site IT architecture, hardware, software, training and tech support. From tree-to-bean-to-bar, obsessed with chocolate and making a better world. 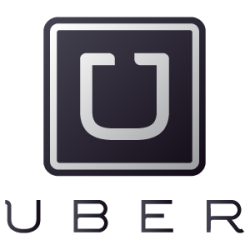 Whether you’re heading to work on the Hill, for a night out on U Street, or catching a plane at Dulles, Uber is ready to take you where you need to go, right now and in style. VideoBlocks.com is a subscription-based website that provides members with unlimited downloads of stock video, motion backgrounds, special effects, After Effects templates and much more. Instead of charging per download, we allow our members to download as much as they want — all for less than the price of just one clip at many competing sites! Our mission is to provide high quality content that companies like NBC are proud to use, but at a price point that even casual video editing enthusiasts can afford. 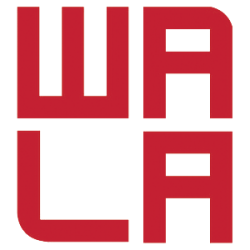 Supporting artistic expression and innovation by serving the legal needs of Washington, Maryland and Virginia's arts and cultural communities. 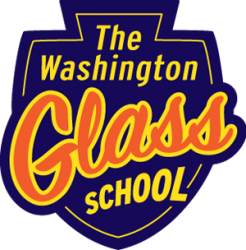 The Washington Glass School offers an educational experience to those wishing to explore creative techniques in all aspects of glass making. Their mission is to introduce artists practicing in other media to the joys of glass, by offering hands-on instruction and workshops that cater to an urban living environment, with classes scheduled in the evenings and weekends. Since 1982, Write Brothers, Inc., has been setting an industry standard by creating innovated yet affordable software technology in the world of creative writing. Having been the first and only to develop a screen writing program that later received an Academy of Technical Achievement Award, the Write brothers continue to impress with their new and improved motion picture writing software. With hundreds of stations around the DC area, Capital Bikeshare creates a network of easily accessible bikes for people in the Nation’s Capital. Operating for two years, Capital Bikeshare seeks to continually expand and bring affordable and healthy transportation to the citizens of DC. The Documentary Center at the Center for Innovative Media sponsors a wide-range of programs devoted to documentary film. Our centerpiece educational offering is the annual six-month Institute for Documentary Filmmaking that runs from January through June. They are The Panini…Done Right. 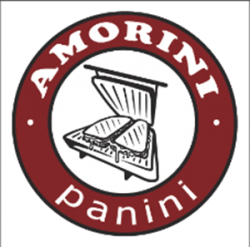 Each Panini is individually crafted with the finest meats & cheeses sliced daily, served on hand-made artisan bread, and grilled to perfection. At the center of every Bertucci’s lives their brick oven. Priding themselves in the authenticity of their process, you can watch your pizza as it is being made to order - it's all a part of the experience. Hey tastebuds, wake up! Bolt Burgers serves up high-impact burgers and fries for sophisticated tastes. While California Tortilla prides themselves on having the freshest, darn tastiest Mexican food around, they also pride themselves on having spunky cashiers, and promotions like Jungle Noise Day and Pop Tart Day. London arrives to DC! With a new menu everyday, Duke's Grocery gives you a taste of the delicious foods that are served across the pond. There is no excuse to be bored when Penn Social is around! They have a different event happening everyday! Plus, they have an extensive bar and serve a mean burger. 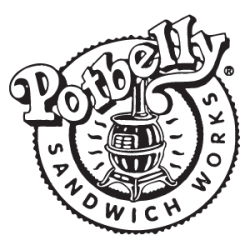 The first Potbelly opened its doors in 1977 in Chicago, and since then has been selling an array of delicious homemade sandwiches on freshly baked bread in 14 markets across the nation, including Washington D.C.
Silo is a laid back modern american neighborhood Bistro that brings good food, good drinks and good conversations together. Welcome to your new everyday freshness! White Apron serves exquisite sandwiches that are sure to satisfy even the pickiest of eaters.